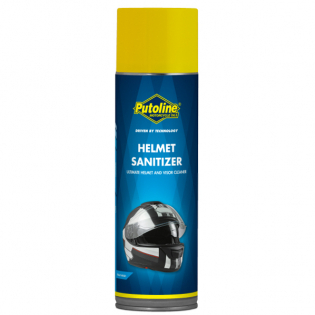 Helmet Sanitiser is a quick and 'easy to use' foam cleaner spray which sanitizes and neutralizes odour from helmet liners, leaving a pleasant citrus smell. Also suitable for cleaning the helmet shell and visor. Hold can upright and spray onto helmet lining, rub with a damp cloth and leave in a warm and ventilated area to dry. You can Click Here for Putoline's recommendation guide for your Bike!